Personal Watercraft (or jetskis as they are more commonly known) are often subject to significant limitations in respect of their use. 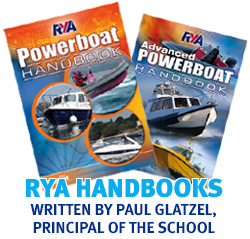 In many areas a RYA PWC Licence is essential if you want to be able to take your craft afloat. The Personal Watercraft one day course develops riding confidence and a good understanding of all aspects of using a PW. The course is a mandatory requirement in some locations. A PW Instructor can teach the RYA Personal Watercraft Proficiency course and the RYA Introduction to Personal Watercraft Safety course at a recognised RYA Training Centre. A one day conversion for existing PBIs so they can teach the RYA Personal Watercraft Proficiency course and the RYA Introduction to Personal Watercraft Safety course at a recognised RYA Training Centre.